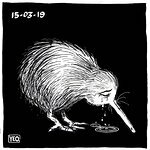 More stars from The Hobbit have been named to take part in this weekend’s celebrity charity cricket match in New Zealand to raise money for victims of the Christchurch earthquake. 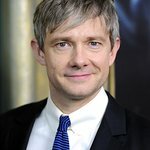 Actor Martin Freeman – who will play Bilbo Baggins in Peter Jackson's upcoming films – will umpire the game, along with Kiwi actor Mark Hadlow, who plays Dori the dwarf. Ian McKellen will be match referee. And British actor James Nesbitt – cast as Bofur – will go head-to-head with Russell Crowe as a coach of the two teams, which consist of New Zealand All Blacks and other sporting greats. Even Australian cricket legend Shane Warne is set to appear. The game takes place at the Basin Reserve in Wellington on Sunday, March 13. Tickets go on sale today through Ticketek – $20 for adults and $10 for children.